The Singhanias and the Maheshwaris get emotional while making arrangements for Naira’s bidaai. How will Naira adapt herself at Goenka House? The Singhanias and the Maheshwaris try to console Naira on seeing her dejected. They get emotional on Naira’s bidaai. Swarna performs Naira’s welcome ritual at the Goenka house. Naitik feels dejected when he returns home. The Goenkas perform Naira and Kartik’s post-wedding rituals. Dadi asks Swarna to get Naira richly dressed for the Muh Dikhai ceremony. Dadi scolds Naira, upon seeing Kartik in a woman’s attire. Later, Naira oversleeps instead of getting ready for a ceremony! Piya Khan and Pradeep attend Kartik and Naira’s wedding reception. But, Dadi is worried as Naira oversleeps. How will the reception turn out? The Goenka’s feel humiliated when Naira runs to help Naitik. Later, Naira and Kartik spend their first night. Naira watches Kartik sleep on their first night! Later, they get romantic. The next day, Dadi wants Naira to do a puja. As Dadi’s behaviour upsets Naira, Kartik tries to manage the situation. Later, Naksh visits the Goenkas to take Naira and Kartik to their house. Kartik asks Swarna to stay away from him and Naira. Later, Kartik rescues Naira from an accident. The Singhanias host a welcome party for Naira. Later, Swarna tells the Goenkas about her request to Naira. Kartik decides to leave the Goenka house for good. Later, Naira is delighted when Kartik visits the family. Naira attempts to convince Kartik that his family loves him dearly and justifies her promise to Swarna. But Kartik remains furious at Naira. Kartik reaches a temple looking for Naira. Will they call it a truce? Will Dadi forgive her? Swarna shares her miseries with Naira. Meanwhile, Surekha asks Kartik and Naira about Luv and Kush’s whereabouts. Naira and Kartik manage to rescue Luv and Kush. Later, Kartik tries to get intimate with Naira but she doesn’t seem to be ready for it. Why? Ananya is concerned about Naira and Kartik’s well-being. Later, Naira gets intimate with Kartik. Kartik refuses to visit his family and celebrate Gangaur. His absence upsets Dadi. Will Naira join the Goenkas for the celebration? The Goenkas are surprised upon Naira’s arrival. Meanwhile, Kartik returns home to find Naira’s letter. What is in it? Naira is delighted when Kartik arrives at the Gangaur puja. She apologises to Kartik for her mistake. Naira and the women complete the Gangaur rituals. Meanwhile, Naksh learns a shocking truth about Akshara’s accident. Aditya threatens Naksh to reveal the truth to Naira. He takes Luv and Kush to meet Naira. Later, Naksh yells at Naira. Why? Manish and Swarna are shocked to find Naira lying unconscious on the floor! What happened? The Goenkas are overwhelmed with joy as Kartik decides to return home with Naira. Dadi makes preparations for their welcome. Kartik dreams of seeing Naira everywhere. Swarna talks to the family about the welcome rituals. Meanwhile, Akhilesh believes that Mansi will keep the truth about Akshara’s accident to herself. Naira learns that Mansi was responsible for Akshara’s accident. Meanwhile, Kartik is tense to know about Naira’s visit to the police station. Why? A furious Kartik confronts Akhilesh and blames Manish for ruining his life. Mansi makes a shocking revelation to the Goenkas. The Singhanias are stunned when Swarna reveals that Mansi was involved in Akshara’s accident. Will the Singhanias forgive the Goenkas? Naira blames Kartik for the mishap, while her brother stands up for him. On the other hand, Mansi volunteers to own up her mistake. Will Naira be convinced? Naitik tells the Goenkas that Naira has got Akshara’s accident case reopened. But, Naira requests the inspector to release Kashyap and close the case. Is she up to something? Kartik gets upset when Naira doesn’t turn up for his birthday party. Is that a sign of a crack in their relationship? Naira makes Kartik smile. Later, at the party Naira sees Aditya’s hatred for Kirti! Will she tell Kartik about it? On learning about Aditya and Kirti’s relationship, Kartik along with Naira plans to expose Aditya. Will they succeed? Kartik confronts Kirti to find out the truth. Meanwhile, Naira hatches a plan to uncover Aditya’s true colors. Will she succeed? Naira manages to instill confidence in Kirti to confront Aditya. Aditya loses his patience and decides to thrash Kirti. But this time, he gets caught! The Goenkas are sad on learning how Aditya tortured Kirti. 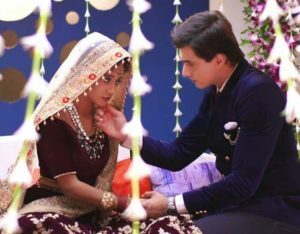 Kartik and Naira are determined to not let Kirti return to Aditya. Aditya tries to prove his innocence to Dadi. Aditya accuses Kirti of having an extramarital affair with Naksh. Kartik and Naira are determined to punish Aditya for his misdeed. Will Manish stand by Kirti? Kartik exposes Aditya and throws him out of the house. Akhilesh and Naira condemn Aditya. 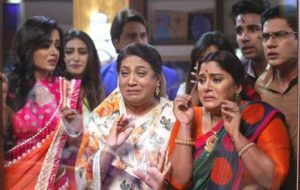 Naira is relieved as Dadi decides not to send Kirti back to Aditya. Later, Naira wishes to take Kirti along with her to the Singhanias. Naira seeks Naitik’s permission to let Kartik help Manish. To stop Manish from selling the haveli, Kartik decides to join Goenka Group of Industries. After joining the family business, Kartik decides to spend time with Naira. Later, what makes Dadi scold Naira. After a lot of struggle, Naira is able to prepare Kartik’s favourite dish, but Dadi misunderstands her. Later, Kartik has some news for Naira. Naira is excited as she gets a permit from the dance academy. She returns home to share the same with the family. Will Dadi let Naira pursue her dream? Kartik convinces Dadi to let Naira pursue her dreams. But then, why does he avoid Naira when he leaves for Delhi? Naira arranges for the Brahmans’ bhojan, while the background dancers show up at the same time! Is Naira in trouble? Kirti accompanies Naira to the market to buy gifts for the brahmins. Aditya abducts Naira. Later, what leaves Naira, Kirti horrified? The Singhanias and Goenkas are shattered by Naira’s arrest. Kartik gets angry on learning about Aditya’s acts, while Aditya rejoices! What will happen to Naira read March Teasers on Not without my family to find out?